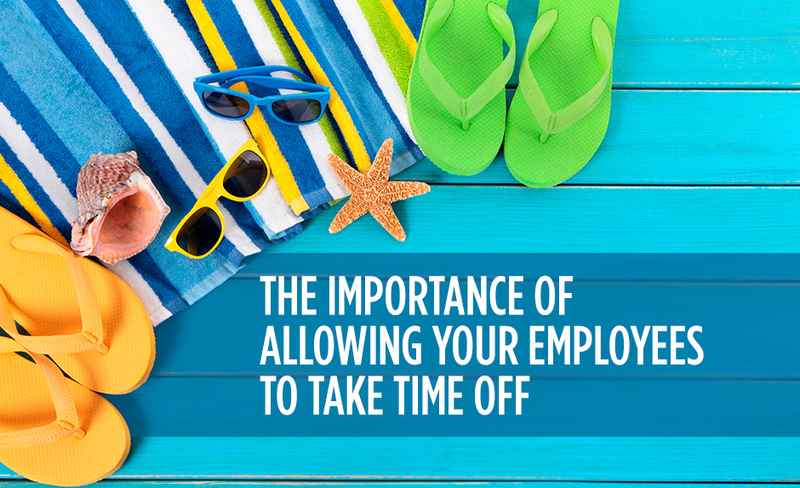 Many employees do not take the full vacation time allotted to them. Employees may be reluctant to go on vacation because they want to seem indispensable to their employers or because they are worried about work piling up while they’re away. Employees who have a good work/life balance are happier at work because they feel more confident their family responsibilities are taken care of. They can focus more on their job because they know they will have time off when they need it. And, they are less likely to leave your organization because they will appreciate the fact that your company recognizes they also have an important life outside of the office. Employees who take time off to decompress and unwind will come back ready to hit the ground running. When staff members get a vacation to relax with their families, they'll come back with a fresh perspective and may be able to look at problems in new ways so they can help your company to innovate. Employees who work all the time and don't get a vacation to decompress tend to get burned out and become less effective at doing their jobs. This can impede productivity, and cause staff members to get tired of their jobs and even consider looking elsewhere for work. If you give employees the chance to get away from the office by encouraging them to take time off, they'll come back ready to work harder after they've gotten a chance to step away from it all. Eastridge Workforce Solutions can help your company find temporary staff members to fill in when full-time workers go on vacation so you won't lose any productivity. Encourage your staff to take time off today so they get a break, and give us a call to let our staffing service help you temporarily fill the positions that your vacationing staff creates.